(CNS): The LA member for East End got few answers on Tuesday when he questioned the minister for community affairs about the status of the police investigation into issues relating to the National Housing and Development Trust. Although government has claimed the work of the Trust as one its success stories because of the amount of affordable homes that have been built since the UDP administration took office, those achievements have been marred by allegations of fraud and corruption. Minister Mike Adam told Arden McLean that he could not say anything because the investigation was ongoing. In October last year a member of the board was arrested by police in George Townaccused of manipulating his position of trust to sell insurance to applicants who applied to buy homes at the East End site. Police did not name the man who was arrested on corruption and deception offences and no charges have been brought against him. "The Royal Cayman Islands Police Service has launched an investigation into allegations of misconduct within the National Housing Development Trust,” the police said at the time. “As part of that investigation a 59-year-old man was arrested at his home in the George Town area this morning, Monday 17 October. He was arrested in terms of sections 13 and 17 of the Anti-Corruption Law 2010 for breach of trust and abuse of public office, as well as suspicion of obtaining property by deception." At the Finance Committee meeting on Tuesday McLean asked about the status of that investigation but was told by both the premier and the minister that government could not discuss the issue. in a heated argument between the premier and the East End member, McLean said that government had to take responsiblity for what had gone on at the trust. McLean revealed that he had also submitted parliamentary questions about the board some twelve months ago but had only recently received a written answer from the minister. Following up, he queried how it was that the board members' stipends had been increased to $400 per member and a whopping $800 for the chair. “I believe that made them the highest paid board members ever,” Mclean said. The minister admitted, however, that board members' stipend for attending meetings had at some point been increased as their own rules allowed them to vote themselves more money. But he said that the pay had recently reverted back to $300 for members and $400 for the chair. 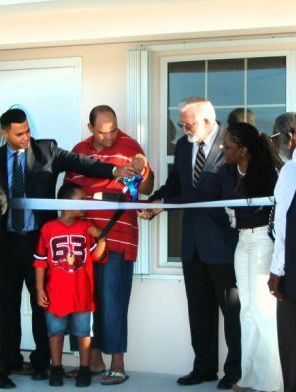 During his time answering questions about his ministry Adam, who was seeking to increase his appropriations mostly because of poor relief, revealed that funds for the 'build your own home' initiative would not be required as there had been no response from the community. Everyone in Grand Cayman knows what "ongoing" really means in Caymanspeak. Wait. Maybe not those who vote. Seems that the number of investigations including those with the anti corruption committee against members of UDP are now at staggering proportions.I supported Mac but a friend pointed out early on that McKeeva aligned himself with the same persons that helped land him in trouble in the last election. He needed honest people to help keep him on the right. What a pity! But then again the alternative is also bleak. I would like to really see CAYMAN MEN behaving like men. For Pete's sake please stand tall. Any old criminal can come here and steal from us, we give them the best jobs, we put them head of our companies, head of our homes, boss of our wife and children, and at the end of the day we are to ashamed to realized we are sleeping in the garage. I know it is human to err but please stop putting down each other for a simple not crossing the T ot dotting the I. It is most disgusting to see Caymanian men behaving this way. That is not how we lived, we watched each other backs, ride bicycle wirth long sleeve shirts and hung out on the front spots. Please please, men behave and look out for each other, because when every one has left you will still be here with your sons and grand sons to see what you have done. Sometimes I am ashamed of my people in the LA. You are good men to represent this country, but I cannot understand what evil has entered your hearts. Have a good day in LA and remember my comments. ” ONGOING ” , you would realize that the word itself has become meaningless, and ranks with ” NO COMMENT “, the favoured response of politicians, and seriously embarrassed celebrities. Tell the Public what is going on and provide a timeline for when there is expected to be a resolution of the matter. Unless of course Mr Adam, you don’t know, or don’t care, because, NOTHING IS EVER GOING TO HAPPEN AND THE WHOLE THING WILL, LIKE SO MANY OTHER MATTERS, BE SWEPT UNDER THE CARPET, AND FORGOTTEN. Didn't you hear Mac and Helliom? Transparency and good governance are expensive and bothersome and get in the way of quick and cost effective decision making, like the Cohen deal, maybe not a good example, I meant like cancelling the GLF contract, oh maybe not I good example, I meant. . .